Enter.Net is proud to be a NKBA Industry Partner! Owned by the Corsa family since 1995, Enter.Net focuses on the design, development, and optimization of websites. 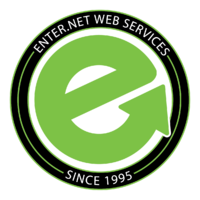 Voted Best Web Design for the past 14 years, the Enter.Net team has made loyal partners out of thousands of professional businesses and community organizations. Our team of web specialists know what it takes to create innovative designs that will boost traffic to your site, grow your online presence, and that best represents your brand.